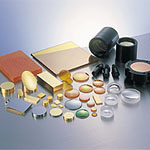 Laser processing technology is influenced by optical parts. Nagoya Denki works together with our customers to create new parts, and will continue to work on the development of lasers. 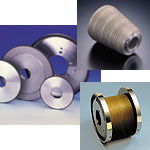 Carbide, diamond and CBN tools are the answer to part machining of various materials. These tools contribute to the production of automobiles, machines and aircraft, etc., and support Japan’s monozukuri (Japanese art of manufacturing). 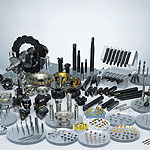 Diamond tools are vital for sub-micron machining. These tools contribute to the development of TFT, HDD and CD. 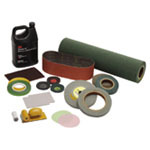 Our polishing technology using diamond and ceramic powders is popular for all varieties of industrial products to home products.